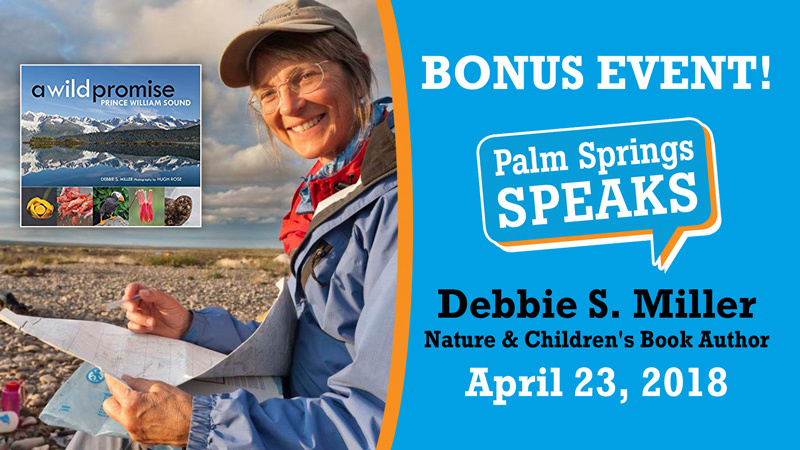 Palm Springs Speaks announces a special bonus event featuring noted Alaskan writer, Debbie S. Miller, 7:00 p.m., April 23, 2018 at the Palm Springs Cultural Center in Palm Springs, California. Debbie is presenting her new book A WILD PROMISE- PRINCE WILLIAM SOUND, featuring her essays covering the natural and cultural history, people and fragility of the region accompanied by the stunning photography of Hugh Rose. A resident of the far north state for forty years, Debbie writes both children and adult literature centered around her love of nature. She has won multiple awards including the 2013 Outstanding Science Trade Book For Children by the National Science Teachers Association and Children’s Book Council for SURVIVAL AT 120 ABOVE. A WILD PROMISE – In A WILD PROMISE, readers travel alongside Hugh and Debbie as they hike and kayak from Columbia Glacier to College Fjord, exploring the Nellie Juan-College Fjord Wilderness Study area, a region set aside for study in 1980, to be followed, it was hoped, by permanent protection from Congress. After almost four decades of being in limbo as a designated wilderness study area, the fate of this spectacular, wild place is now in our hands. Palm Springs Speaks – Palm Springs Speaks is a Speaker Series presented in the west end of the Coachella Valley by the Palm Springs Cultural Center and the Friends of the Palm Springs Public Library. The Palm Springs Cultural Center Community Theatre (located inside the Camelot Theatres) is a place-based resource for community programming – speaking engagements, educational programs, special interest programs, lectures, community meetings and film screenings for a wide variety of audiences. The Palm Springs Cultural Center Community Theatre is also available to individuals and local charities for fundraisers, special events, and other activities. Several time slots have been reserved for charitable use at no charge. The Palm Springs Cultural Center is a 501(c)3 non-profit organization, founded in 2007 by Palm Springs philanthropists Ric and Rozene Supple. Its mission is to incubate, produce and encourage arts and cultural programs in order to leverage the unique power of creativity to open minds, bridge what divides us and discover what connects us. The Palm Springs Cultural Center is also at the forefront of recognizing an interconnection between the cultural arts and food culture, and their combined importance to the vitality, collective consciousness and sustainability of the community. Make Your Plans Now for GREAT Entertainment! Rose Mallet, Jazz Legend, 6:30 to 9:30. No tickets. No cover charge. Reservations recommended. Michael Holmes Trio with Kate Campbell – Swinging to the Music of the Rat Pack Era. 6:30 to 9:30. No tickets. No cover charge. Reservations recommended. Sharon Sills Sings, 6:30 to 9:30. No tickets. No cover charge. Reservations recommended. 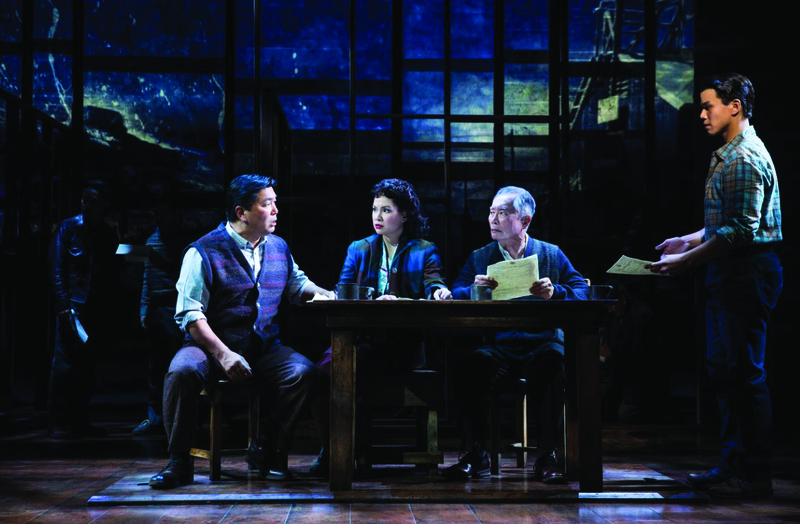 Weekend Shows in Jun – Don’t Forget: Restaurant Week is June 1 through 17, 2018. People used to stay that once you got past Easter, High Season was over in the Coachella Valley. Everything else was just “Shoulder Season” waiting for Summer. That’s been changing over the years, though, and the April/May/June entertainment calendar at Michael Holmes’ Purple Room certainly proves there’s truth to it. Great Entertainment doesn’t leave with the Easter Bunny. It continues right into Summer! June continues the all star line-up at Michael Holmes’ Purple Room with Jake Simpson, AJ Lambert (with an all-new show – Only the Lonely), Jonathan Karrant, The Skivvies, and Richard Shelton, to name a few. And throughout, The Judy Show will be the cornerstone – rounding out the week on Sunday evenings with Judy and all her gal pals – Bette Davis, Carol Channing, Pearl Bailey and more! And there’s even more Judy in June! On Sunday, June 10th, it’s Judy’s Birthday Show, and on Saturday, June 30th, it’s the Last Judy Show (of the 2017/18 season). Looking for great entertainment? You can’t go wrong at Michael Holmes’ Purple Room. Whether it’s the headliners on weekends or the regulars during the week (Rose Mallet, The Michael Holmes Trio with Kate Campbell, Sharon Sills), you can count on great entertainment, fabulous food, and a really good time. Michael Holmes’ Purple Room continues the tradition that made the Rat Pack famous every night of the week (except Mondays). And if you’re looking for a great Happy Hour, look no further. Michael Holmes’ Purple Room serves up the desert’s BEST live Jazz Happy Hour Tuesday through Thursday. New for 2018, the American Documentary Film Festival presents AmDocs Latino, a weekend of powerful, story-driven films celebrating Latin American people, their heritage, their stories, and their unique cultures. AmDocs Latino will take place at the Mary Pickford Theatre in Cathedral City on April 13th and 14th. Indeed, one of the specific reasons the North South Doc Network (NSDN), an association of international documentary film festivals, was founded, was to enable and encourage the sharing of content, thus allowing the films that have screened at each of the member festivals to gain access to broader audiences. The City of Cathedral City, D’Place Entertainment and the Mary Pickford Theatre are working hand in hand with the Palm Springs Cultural Center and its AmDocs team to present this first edition of AmDocs Latino. Nuevo para el 2018, El Festival de Documentales Americanos presenta AmDocs Latino, un fin de semana lleno de documentales poderosos, llenos de la gente de Latino America, su patrimonio, sus historias, y su cultura única. AmDocs Latino se llevará a cabo en el Teatro Mary Pickford en Cathedral City el 13 y 14 de abril. Ciertamente, una de las razones específicas por la cual el North South Doc Network (NSDN), una asociación de festivales de documentales internacionales fué creada, fué para compartir el contenido, y para que cada una de las películas proyectadas en los festivales, pueda ser vista por audiencias más amplias. “Por medio de las relaciones que hemos establecido con nuestros compañeros de varios festivales de películas de Latino America,” continuó Teddy Grouya, “hemos podido reunir un programa completo de películas Latinoamericanas, muchas de las cuales son premiadas, y traerlas a las audiencias hispanoparlantes y bilingües del Valle de Coachella. La ciudad de Cathedral City, D’Place Entertainment y el Teatro Mary Pickford estan trabajando en colaboración con el Centro Cultural de Palm Springs y su equipo AmDocs para presenter esta primera edición de AmDocs Latino. Now in its seventh year, the American Documentary Film Festival (AmDocs) is now one of the largest all-documentary film festivals in the United States. 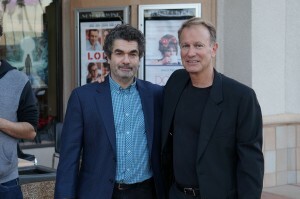 Named “one of the five coolest documentary film festivals in the world” by MovieMaker Magazine, AmDocs has hosted some of the most respected personalities from behind and in front of the camera, including Oliver Stone, Peter Bogdanovich, Dionne Warwick, Phil Keoghan, Joe Berlinger, Jamie Redford and Tony Robbins. This year, AmDocs will screen over 170 films from all over the world, host more than 200 independent filmmakers, industry professionals and film personalities, conduct industry panel sessions, and invite American filmmakers to participate in its annual Film Fund Competition. from the Certified Farmers Markets. Fava Beans are this week’s Fresh Pick of the Week from the Certified Farmers’ Markets. 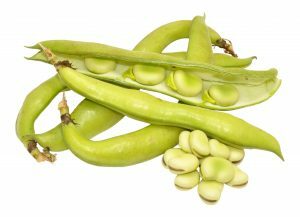 Fava Beans, also known as broad beans, faba beans, field beans, horse beans, Windsor beans, pigeon beans and even tick beans, have a flavor that is smoother, sweeter and richer than most other beans. So why aren’t they more popular? (at least in the United States – they’re an ingredient in Egypt’s national dish) Most likely, it has to do with the fact that many people don’t know how to peel Fava Beans. And it is a bit of a chore, but it’s definitely worth it. Fava Beans are members of the pea family, and like other peas, Fava Beans have to be shelled. But that’s only step one. Once peeled, the actual bean still needs to be freed from its tough whitish outer skin. This can either be done by making a slit in the skin, then popping the bean out, or by blanching the beans in salted water for 30 seconds then submerging them in ice water. This process typically softens the outer skin, making it easier to remove. Fava Beans are delicious in salads, soups, pasta dishes, pestos, or simply stewed. Their flavor is a wonderful addition to almost any dish, importing a flavor that is fresh and bean-like nutty, but also nutty and buttery. Don’t be daunted by Fava Beans. They’re worth the effort. Did you know: Fava Beans have been a human food source since ancient times. They are thought to have originated in the Near East during the Neolithic Age. Fava beans were cultivated by the Egyptians, Greeks and Romans, but their remains have also been found at archeological sites in Northern Europe. They have been used in religious practices, funeral rites, and even been the subject of a variety of superstitions. In the end, though, you have to give them credit. Humans have been eating them since at least 6,000 B.C. Price: $ 3.00 a pound. Palm Desert Certified Farmers’ Market: The Market is held each Wednesday morning from 8am to 12:30pm at 72-559 Highway 111 (adjacent to the Palm Desert Chamber of Commerce). American Documentary Film Festival (AmDocs)to Screen #TAKEMEANYWHERE; filmmakers ​Shia LaBeouf, Nastja Säde Rönkkö, and Luke Turner to receive 2018 “Seeing The Bigger Picture” award. to receive 2018 “Seeing The Bigger Picture” award. #TAKEMEANYWHERE, with film partners Nastja Säde Rönkkö and Luke Turner. The trio will also receive AmDocs highest honor, the 2018 “Seeing The Bigger Picture” award. Previous winners include Oliver Stone, Peter Coyote, Peter Bogdanovich, Joe Berlinger and Jamie Redford. April 4, 2018, Palm Springs, CA – The American Documentary Film Festival announces the screening of the latest film by art collective Shia LaBeouf, Nastja Säde Rönkkö, and Luke Turner. #TAKEMEANYWHERE chronicles the 10,000 mile journey by the trio who tweeted their GPS coordinates daily and hitched rides around North America from the strangers who found them. Whoever picked them up could literally take them anywhere. The film is an insightful commentary on the spirit of America and establishing friendship, particularly in this era of political divisiveness. ​Shia LaBeouf, Nastja Säde Rönkkö, and Luke Turner have been making highly provocative, Internet driven, interactive art together since 2014, including HEWILLNOTDIVIDE.US, a piece of anti-Trump protest art launched on Inauguration Day that quickly became the target of online trolls and far-right extremists. #TAKEMEANYWHERE is arguably their most expansive yet intimate work to date. American Documentary Film Festival (AmDocs) Opens Friday; George Takei Among Those Expected to Walk the Red Carpet. 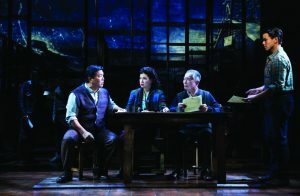 Opens Friday; George Takei Among Those Expected to Walk the Red Carpet. Media Alert: Star Trek’s George Takei among 120 international filmmakers attending the American Documentary Film Festival Opening Red Carpet. Opportunities for photos and interviews. Friday April 6th 5:30 – 7:00PM. April 5, 2018, Palm Springs, CA – The American Documentary Film Festival officially begins Friday night with a red carpet reception that promises to be a fabulous and frenzied scene in celebration of documentary movie magic. With over a hundred and twenty international filmmakers, producers, and the film-loving public mingling under the white tent, you never know who you might bump into. Get your camera ready for Star Trek’s George Takei, the night’s official special guest. Will other festival stars like Shia LaBeouf and Pierce Brosnan join him? You never know, and that’s what makes AmDocs one of the coolest film festivals in the world! Join us. 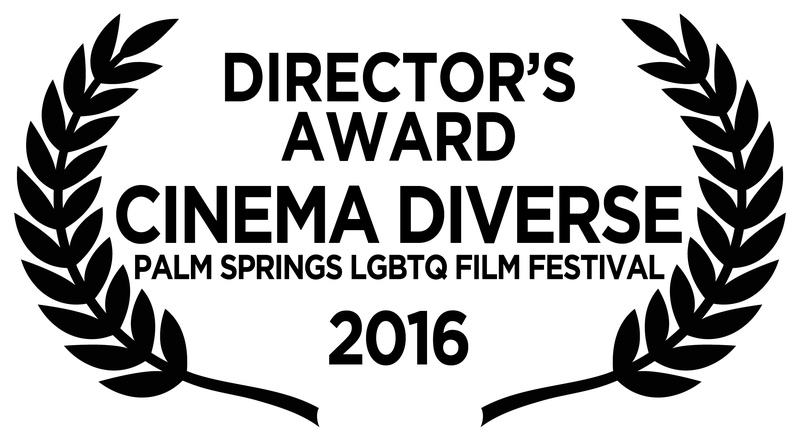 Cinema Diverse: The Palm Springs LGBTQ Film Festival Announces Festival Favorites; Director’s Awards. 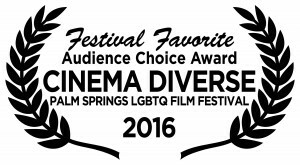 The Ninth annual edition of Cinema Diverse: The Palm Springs LGBTQ Film Festival called it a wrap on Sunday night, September 25th, 2016, and today announced its annual selection of audience favorites, plus another group of films selected by the festival director. 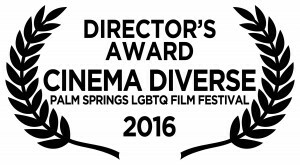 “We have historically only published audience awards,” said Michael C. Green, Festival Director, and Managing Director of The Palm Springs Cultural Center. “But this year, I felt we should also give awards to films that the festival felt strongly about. Some films won in both categories, and others won in one or the other.” Audience surveys continued to indicate a very high level of audience satisfaction, with most films scoring eighty percent or higher. “We screened forty four feature films this year, and twenty three of them earned Audience Choice Awards (meaning that they scored eighty five percent or higher on audience surveys).” Green continued. “And out of the fifty seven shorts we screened, twenty of them earned Audience Choice Awards. Audience Choice Award Winners among feature films included: Akron, An Act of Love, Clambake, Fair Haven, Flatbush Luck, Growing Up Coy, Heartland, I Am Michael, Jonathan, Kiss Me Kill Me, Last Men Standing, Lazy Eye, Major!, Oriented, People You May Know, Remembering the Man, Retake, Shared Rooms, Stonewall: The Movement, Summertime, Throuple, What’s the matter with Gerald? and Women Who Kill. Highest among all the high scoring films was this year’s closing night film, Retake, which scored a ninety six percent rating among audience members. Short Films that won Audience Choice Award Winners included: 1992, #NonaHendryx Transformation, Bed Buddies, Big Star, Equal Justice Under Law, Harmful Sensations, Love, Colin, Lunch, Monty, Rainbow Day Camp, Rebounding, Sauna the Dead: A Fairy Tale, Son of a Preacher Man, Speak, The Champion, The Ex Factor, The Man Crush, The Right Bank, The Seder, Tri-Curious, and True Colours. Feature Films awarded the Director’s Award this year included: Akron, Arianna, Fair Haven, Heartland, Lazy Eye, Oriented, People You May Know, Remembering the Man, Retake, Shared Rooms and Throuple. Short Films given the Director’s Award included: 1992, #NonaHendryx Transformation, Bed Buddies, Love, Colin, Lunch, Monty, Mukwano, Oh, I Get It, Rats That Eat Men, The Seder, Son of a Preacher Man, Speak, Tri-Curious, and True Colours. 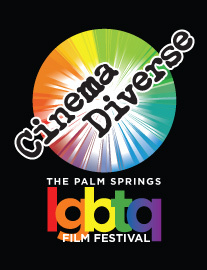 Cinema Diverse: The Palm Springs LGBTQ Film Festival is a Palm Springs Cultural Center Program. 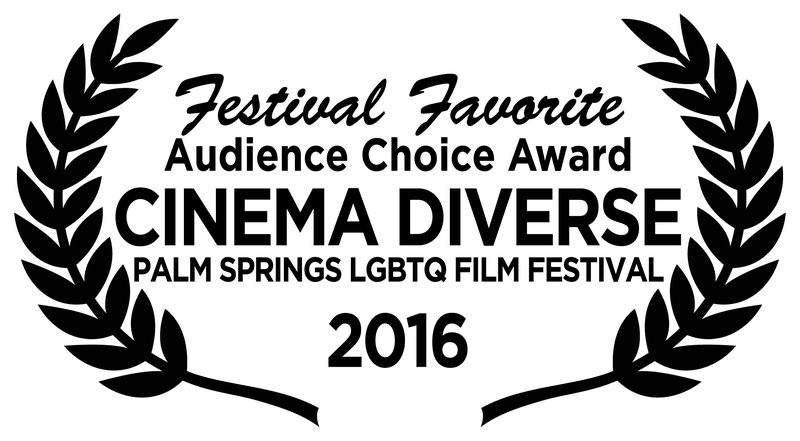 The 2016 Edition of Cinema Diverse was presented by The City of Palm Springs, HERE Media, the Western Wind Foundation, Union Bank, the City of Cathedral City, I-10 Toyota, Desert Regional Medical Center and Barefoot Wines. Also Featuring Special Guest Comic Dana Eagle. Be at The Purple Room this Saturday, June 25th, when comedian Jason Stuart returns for another of his outrageously funny evenings of comedy. Jason Stuart has been making people laugh out loud with “Gay Don Rickles” performances all over the country since coming out in 1993, and has accomplished what few other gay comics have ever achieved: brutal honesty with humor in a world that’s not always kind. Not only is Stuart an all-out crowd pleaser, he also transcends the boundaries of race, gender and sexual orientation with his edgy comedic style. Stuart’s material about his experiences as a single Jewish gay man living in Hollywood is original, cutting edge and just plain funny! This month, Stuart is joined at The Purple Room by special guest comic Dana Eagle. Eagle has appeared on The Late, Late Show With Craig Ferguson, Comedy Central, and Comics Unleashed, where she became a contributing writer. She is a frequent opener for Bill Maher and has taken several trips overseas to perform for the troops in Iraq. Eagle’s one-woman show Stones From Glass Houses was featured at the HBO US Comedy Art Festival and its sequel Mood Disorders: A Light-Hearted Romp Through Crippling Depression premiered at the Los Angeles Theater Festival.She appeared in an ABC Pilot with Jason Alexander and was the host of Comcast UNConventional, Showtime NEXT, and E! Entertainment Network’s, E! Life Lessons. Eagle began her career in musical theater but was asked to leave.